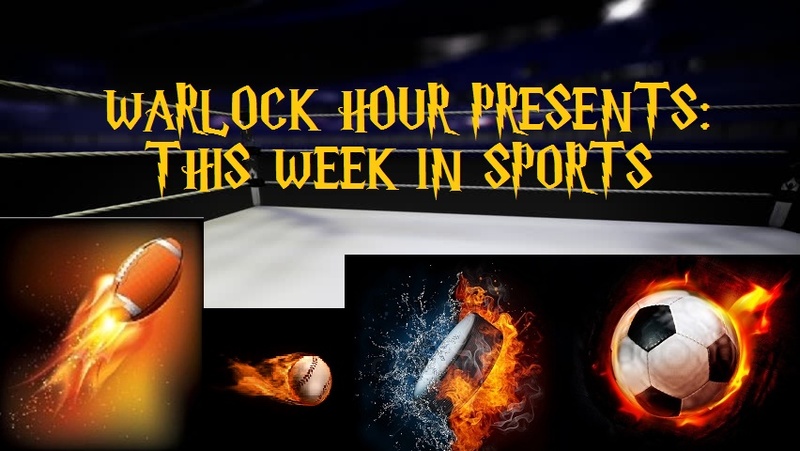 Ehnother Podcast presents This Week in Sports Episode 10! Once again this week, NFL Talk will be the main focus as we are now just a week away from the Draft. For the second week in a row there was a blockbuster trade of draft picks. About an hour before we started recording things were once again shaken up. Keith and I discuss the news of the week, the big trade and do a top 15 Mock Draft as we can sort of see it now. Plus discuss the possibilities of there being still more trades of draft pick positions between now and draft day. After that, I recap the Barclay’s Premiere League: Leicester is a win away from clinching top of the table; The NHL Playoffs are in full swing and some of my picks look good, while others… not so much; and of course wrap things up with a quick look at the MLB situation. This entry was posted in This Week in Sports, Warlock Wednesdays and tagged Barclay's Premiere League, baseball, Brandon Browner, Brian Hoyer, Carson Wentz, Cleveland Browns, DeAndre Hopkins, Denver Broncos, Football, hockey, Houston Texans, Indianapolis Colts, Jared Goff, Keith, London Games, London NFL Team, MLB, Mo Wilkerson, Mock Draft, New York Jets, NFL, NFL International Series, NFL Mock Draft, NFL Schedule, NFL Trade, NHL, NHL 3 Stars of the Week, Philadelphia Eagles, Rayzor, Ryan Fitzpatrick, Seattle Seahawks, soccer, sports, statistics, Sudbury Spartans, Sudbury Spartans Football Club, Sudbury Spartans Football Helmets Campaign, Von Miller, Warlock Hour, WWE. Bookmark the permalink.